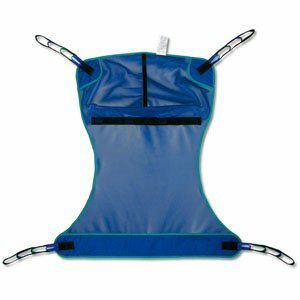 Invacare Compatible Mesh Full Body Sling - Large, 450 lb. (204 kg) max Available in mesh or solid body style with or without commode opening, this four-point connecting sling is compatible to the sling size and weight specifications offered by InvacareProduct photo may not exactly match the product offered for sale. Please refer to the product description.